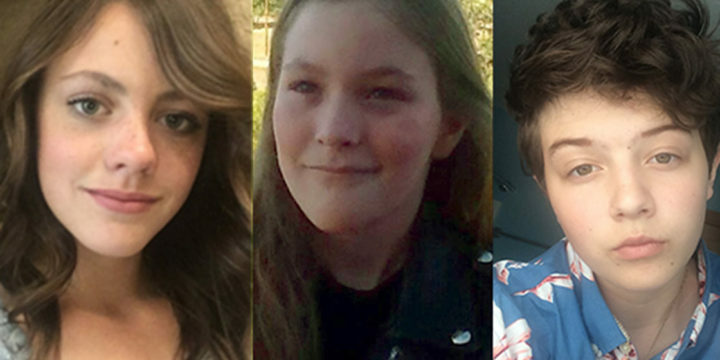 On October 21, three young Pagosa Springs playwrights will be joining the Thingamajig Theatre Company as a part of the ‘Youth Playwrights Festival.’ These three bright minds will have their new plays workshopped by a team of professional theatre artists and then presented in a free event at the Pagosa Springs Center for the Arts. Allora Leonard, Chance Hurt, and Simon Mitchell will each participate in the festival with their own original plays. From left to right Allora Leonard, Chance Hurt, and Simon Mitchell will be participating in the Youth Playwrights Festival as a part of the Playwrights Festival with Thingamajig Theatre at the Pagosa Springs Center for the Arts. Allora Leonard comes to the Festival with her play “The Adventures of Pagosa Pete and Jelly Bean.” Allora has also participated in the Whatchamawhozits Theatre camps and played Miss Hannigan in Annie Jr this past summer. She was also a Featured Soloist in “Children of Eden” with Curtains Up. “The Adventure of Pagosa Pete and Jelly Bean” is Allora’s second piece of writing. The play focuses on a cowboy named Pagosa Pete who roams the Rocky Mountains of Colorado with his trusty steed, Jelly Bean, saving friends along the way. Chance Hurt, a sixth grader at Pagosa Springs Middle School, has been acting in the Whatchamawhozits Theatre classes and camps since 2015. During that time he has been in six plays. Chance has an impressive imagination and puts that brain to work while playing with LEGOs and writing stories. His play, “The Gang War of Chicago”, is his first attempt at writing a play, but we suspect it won’t be his last. Based in 1958, “The Gang War of Chicago” tells the story of Officer David and his squad of brave police officers who spend a month battling the gangs of Chicago. Simon Mitchell is a junior at Pagosa Springs High School and absolutely adores the stage, whether he’s writing or acting. “One in Six” is his first play. He was inspired to write his first play after spending the past two summers at Interlochen Arts Camp in northwest Michigan. “One in Six” tells the story of Arlo Mac who has been holed up in his room for months after a seemingly innocent fling with a popular boy, Matt. In the midst of confrontations and inner battles, Arlo has to find his way to step outside again. If you’re interested in seeing these stories come to life, join us on October 21. Reservations not necessary. Admission is free. For more information, visit us at pagosacenter.org or all at (970) 731-SHOW (7469).